Switch out that high-fat pumpkin latte for this healthy Pumpkin Smoothie. At about 50 calories per serving, this creamy smoothie is full of fabulous fall flavors and just 1 gram of fat. In a freezer-safe container, freeze pumpkin puree for up to 4 hours or overnight. 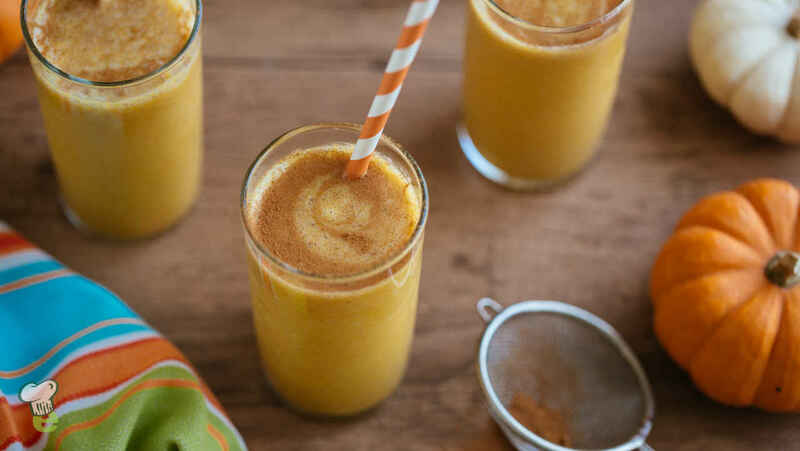 In a blender, combine the milk, yogurt, frozen pumpkin puree, maple syrup and cinnamon and blend until smooth. Serve immediately topped with additional cinnamon and graham crackers, if desired.